We have developed our affordable orangeries to satisfy the increasing demand for a solid traditional orangery style building, but at a more affordable price. Our new affordable orangery designs manage to provide the main benefits of a traditional orangery with their internal plastered eaves pelmet around the perimeter of the roof, discrete inset spotlighting, substantial decorative external eaves finish and of course tremendous thermal efficiency. 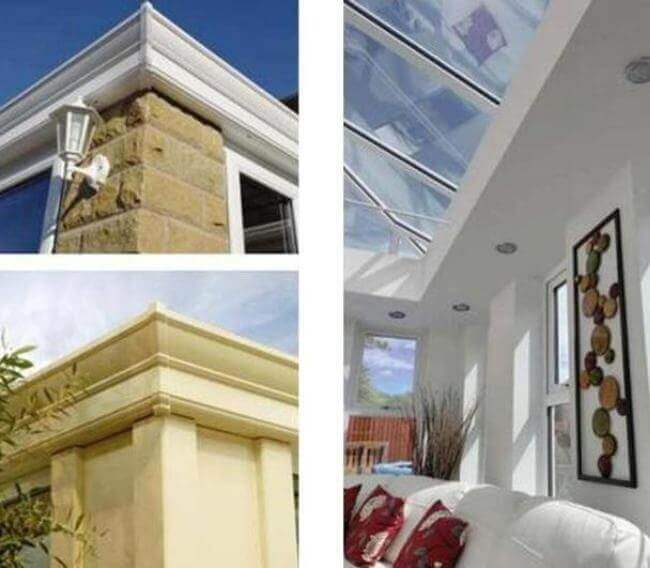 • Looks and feels just like a traditional orangery - The use of our internal plastered pelmet, with inset spotlighting, along with decorative cornice guttering means we can achieve the overall look and feel of a traditional orangery. 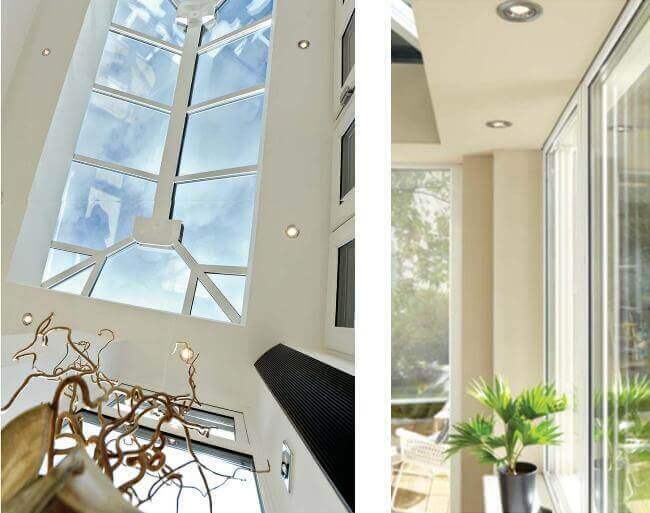 The orangery pelmet can be specified any width, which allows the client to decide just what the proportion of solid pelmet to visible glass will be. This allows the client to add a room that has a solid, substantial feel with excellent thermal performance, but with just the right amount of natural light. • Lower Comparative Cost - Our affordable orangeries are essentially built to the same method as our bespoke conservatories, with the orangery enhancements added, which makes the construction process quicker and more efficient than a traditional orangery, this is reflected in the price, which can be viewed as a bespoke conservatory with premium enhancements rather than the higher project cost usually associated with orangeries. 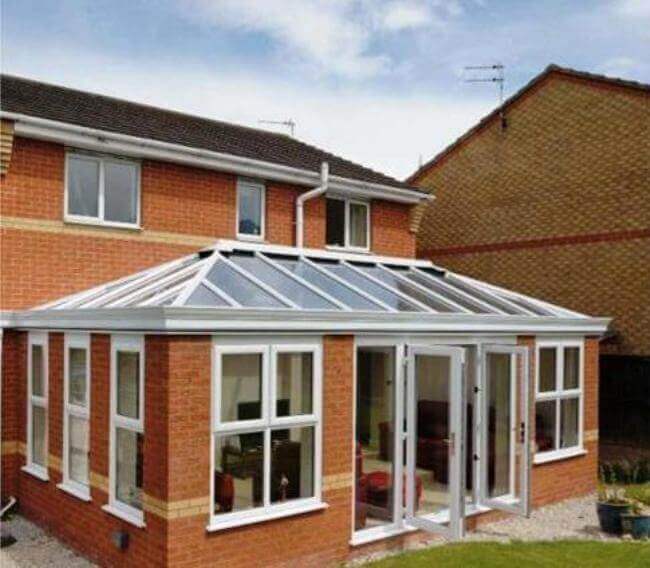 Additionally, the fact our affordable orangeries are based on a conservatory construction method makes them ideal as the solution for transforming an existing conservatory in to a stylish orangery, without the additional cost of having to completely replace the existing base or even underpin the foundations. 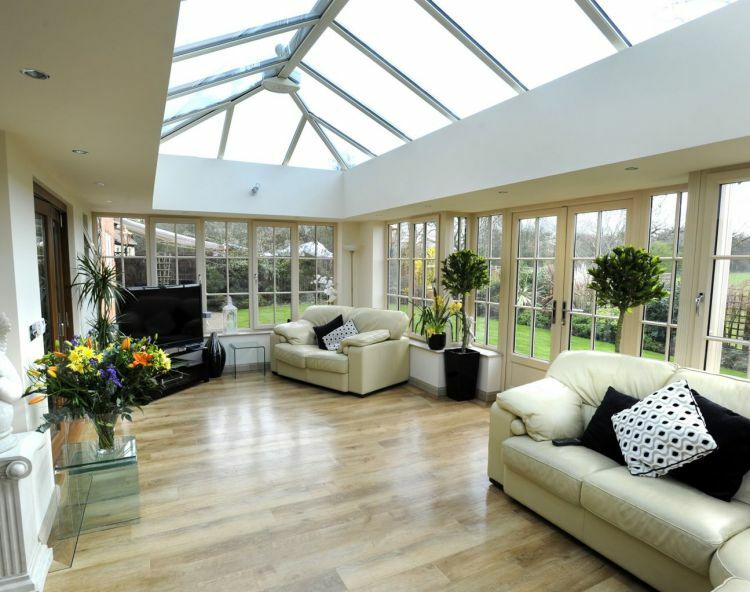 • No Building Regulations Required - Building regulations will generally apply if you want to build a traditional orangery on your home, just as they would for a solid roofed extension, in fact it is only a conservatory that is exempt. Despite looking and feeling like an orangery our affordable orangery solutions meets the legal definition of a conservatory* (please contact us for a detailed explanation) and are consequently exempt from full building regulation requirements and the associated fees, with the exception being the need to comply with safety for glazing and electrics, which of course we do. 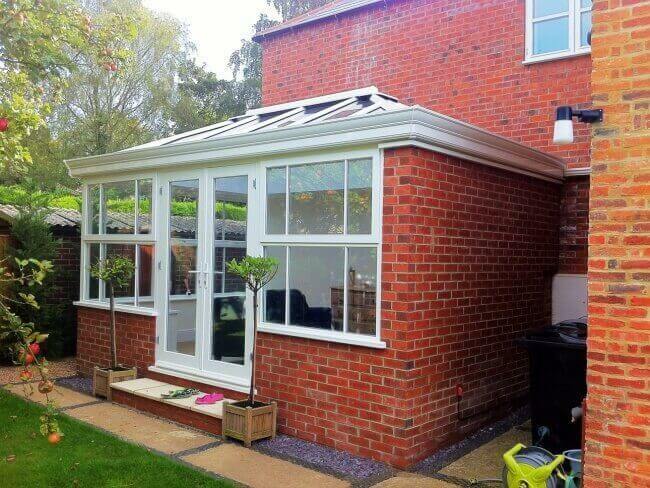 Our affordable orangery design is based on the conservatory construction principle, where the roof extends to the outside of the building and load bearing is through the external wall and side frames. We then install an internal plastered pelmet and aluminium external cornice at the eaves level. Clearly with this method there is not the external flat roof section usually associated with an orangery, but we can supply example images of both traditional orangeries and affordable orangeries and we would challenge anyone to tell us which one is a traditional orangery and which one is built using the affordable orangery method. Why not contact us now, and we can email you come example images so you can see what we mean. We bespoke design, manufacture and install all of our projects so there are literally unlimited options. We have installed affordable orangeries that have made great additions to any type of home, from brand newbuilds, through to historic listed buildings. You can specify as much brick or stone walls as you feel is appropriate, with lintels above the side frames with additional brickwork above if the client prefers a really solid looking structure. The side elevation windows and doors can be fabricated from maintenance free upvc or aluminium or hardwood obtained from renewable sources. All these can be finished in your choice of colour or stain. We have lots of information elsewhere on our site regarding the framework options. We take great care to ensure that all of our client's affordable orangeries suit their existing home and gives them the perfect extra room. 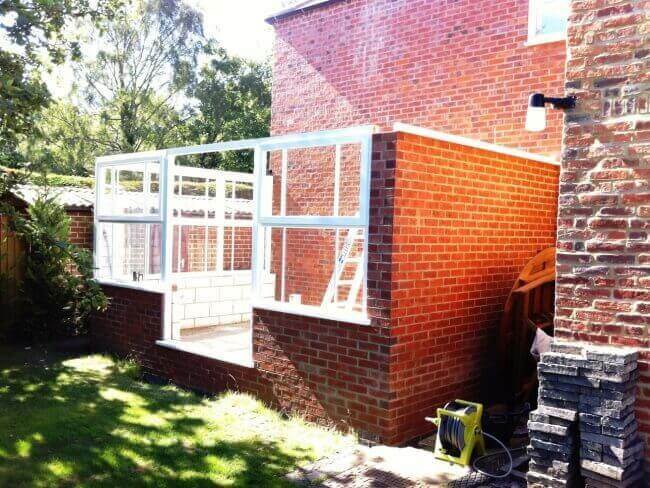 Prior to making a decision regarding which company you choose to construct your conservatory read this genuine, unsolicited review from Mr & Mrs King of Cotgrave. Since receiving this kind review we've had a number of enquiries from neighbours of Mr & Mrs King who want an affordable orangery of their own. Contact us to request some example images of this and other similar projects. 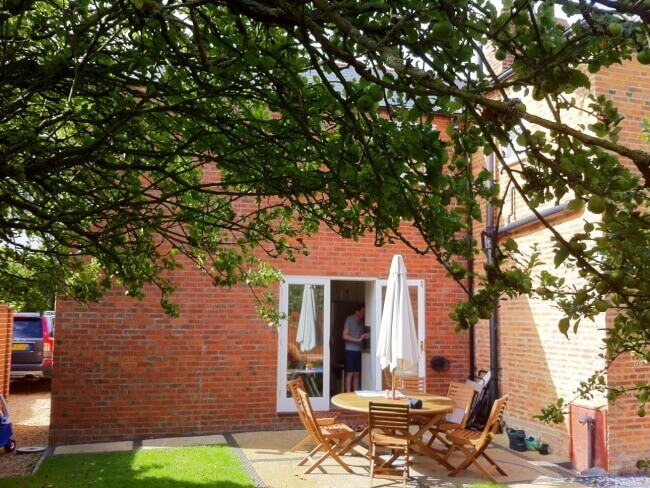 This affordable orangery was built for Mr Ellis in a conservation area in Lincolnshire and since completion of the project he contacted us to let us know that he uses his new orangery more than his original lounge. The client chose to incorporate the affordable orangery design because of its unique internal plastered pelmet with built in spotlighting, along with the external cornice which gives the orangery an elegant look. As with most of our projects we took care of everything, from obtaining the necessary planning and conservation area approval, right through construction to completion, including plastering the internal walls, electrics and finished flooring, giving him the benefit of a single, dedicated project manager. The images below showcase Mr Ellis' affordable orangery project stage by stage from base work to installation to finish all in around 6 to 8 weeks. Get in touch with us today, either by calling or using our contact form. 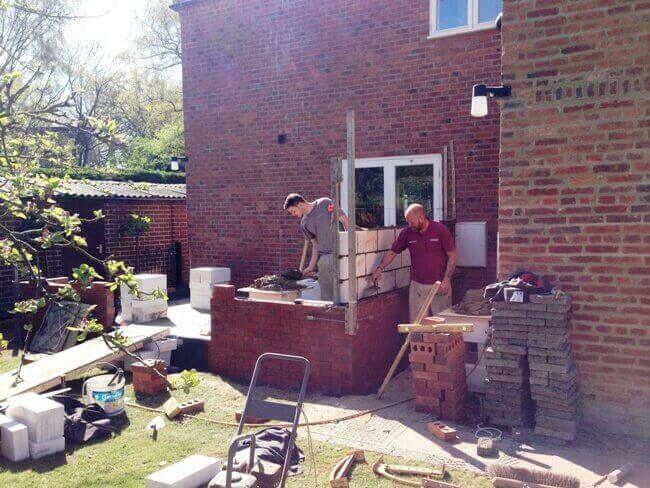 We offer a genuinely free no-obligation design and quotation service. Since establishing in March 2000, we at Vivaldi have always believed that the design and planning phase of a project like this is a job for an experienced professional, which is why we have never employed any salesmen. Our strong ethics mean we have an incredible attention to minute detail, whether that be at the planning stage or the installation stage, it also means we believe in doing our small part to help the environment so we've developed a sustainability policy with Environmental Scientists from the University of Nottingham that meets UK government environmental guidelines and is registered under the control of pollution act of 1989.